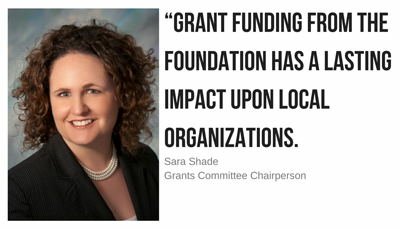 We fund grants that address the broad needs of Muncie and Delaware County in the areas of arts and culture, community betterment, economic development, education, and human services. Effective June 1, 2017 all grant applications, with the exception of Land Conservation Fund Grants, will be submitted online through a grants management system. Learn more about how to use the online system or access the frequently asked questions. As always, Foundation staff is always available to answer questions. Please do not hesitate to contact us. Improving the quality of life today and for generations to come. Stimulating student learning with innovative ideas from educators. Distributing funds for the betterment of the community. Supporting at-risk children and families in the community. Conserving and protecting lands for public use. Benefiting the residents of the Town of Gaston and Harrison and Washington Townships. Benefiting the residents of the Town of Selma and Liberty and Perry Townships. Benefiting the residents of the Town of Yorktown.